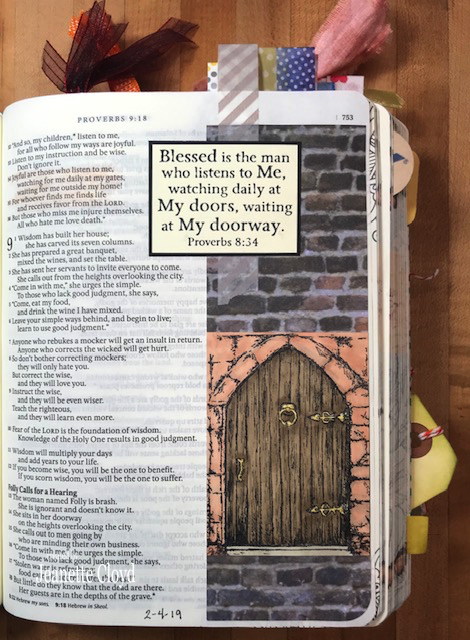 The Bible Journaling group on SCS has a monthly theme, selected by the leader of the group, Julie. 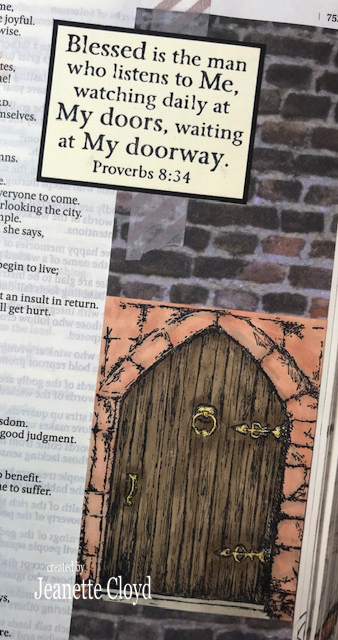 Each month we are to journal a verse/passage related to that month's theme. This month Julie chose Blessed/Blessing for the theme. I recently purchased (second-hand) the Our Daily Bread Ask, Seek, Knock stamp set. 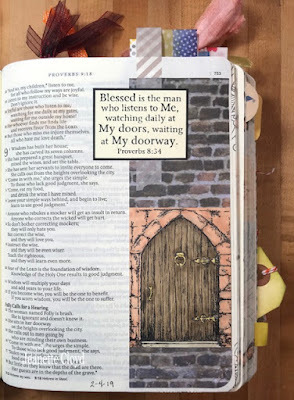 It had the perfect Scripture stamp for this theme so I quickly decided to Bible Journal Proverbs 8:34. My journaling Bible is the NLT translation. Hi Jeanette - how do I subscribe to or follow your blog? I love the bricks and wooden door!! Sensational Bible journal entry, Jeanette! !